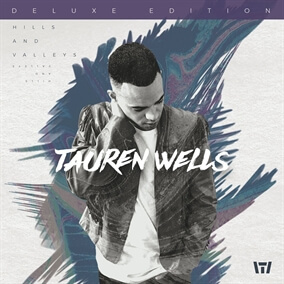 Original Master MultiTracks and instrument parts in RehearsalMix are now available for Hills and Valleys, the debut solo release from former Royal Tailor frontman Tauren Wells. To create the unique combination of sounds heard throughout Hills And Valleys, Wells, a two-time GRAMMY® nominee, collaborated with a variety of seasoned producers from the musical worlds of R&B, funk, pop, Gospel, urban and AC. "I am so grateful for the opportunity to release my first album as a solo artist," Tauren shares. "These songs have been inspired by God and my relationships with people. My hope was to write songs people needed to hear with lyrics we can all carry into every moment of life. The process of getting to this place was a path filled with many hills and valleys but I've seen the faithfulness of God in it all." The album includes "When We Pray," "Love Is Action," and Tauren's hit single, "Hills and Valleys," which was one of Spotify's most streamed Christian songs of 2017. Download your copy of Hills and Valleys today on iTunes and pick up all of the worship leading resources here on MultiTracks.com.